Good blogs don’t just happen by accident. Blog writing is a specialized form of writing that takes serious skill to maximize its impact. Topic generation, keyword research, link building, and wordsmithing are just a few of elements that go into each post. Our blogging service team knows how to make words work. We save our clients countless man-hours by handling the entire process and providing quality blog content they’re proud to share with their audience. As a result, you might just create a website so good that your biggest fans will link to it and give you more traffic than you ever thought possible. Why Are We the Best Blogging Service? Unless you’re an SEO expert who knows how to write for algorithms and people alike, you might have a hard time reaping all the best benefits of blogging. Our best blogging service is the core of NoStop Content. Our writing team is well-versed in a multitude of industries and niches to give you professional, polished blog content that looks like it came straight from you. Every blog post is written to achieve your specific goals. We tailor your content to give you the best results. Just in case you’re a “tl;dr” kind of person, here’s what you need to know — NoStop Blogging Services offers consistently great web content at a reasonable price. And by great content, we mean content that’s going to make money for you. We figure that’s the golden rule of blogging services in general — if we’re not helping you make money, we’re not doing our job. So we can take care of all your blogging needs. All of them. We can write the occasional post, or we can work from your monthly editorial calendar. Either way, contact us today and let us demonstrate what we can do to improve your website’s quality and increase your sales. You might be wondering why you should even bother with a blog, especially to the degree that everyone seems to be doing it these days. If so, that’s a reasonable question. But there’s a fairly straightforward answer — you need a consistently great blog for the same reason you need a great website. It goes without saying that without a great website, you’re dead in the water. Well, now that everyone has a great website, you need something to draw attention to it and make it even better. And that something is a high-quality blog. A good, ongoing blog makes your website searchable. It pushes it up the search engine results and brings more traffic to your website. It also makes you seem more knowledgeable in your given field. Finally, a good blog makes your website more interesting and keeps it to date, with the end result of higher sales. So let’s face it — a great blog is an absolute necessity these days. A consistently good blog is a tool — a marketing tool to be exact. As content writers and business owners, we’d like to say otherwise sometimes, but the cold, clinical truth is that a blog is a way to make money. At least it should be. Sure, we all take pride in our work. We take pride in the products or services we sell. We take pride in our reputations too. But the bottom line is, well, the bottom line. There’s one reason and one reason only that you should care how inspiring, provocative, and absolutely life-altering NoStop’s blog pieces are — because they’ll help you generate revenue. Buy a post today and let us get started making you more money. By utilizing long tail keywords to direct buying traffic to your site. Now let’s talk about what this stuff actually means, just so you’ll trust that we know what we’re doing. It’s our job to push your website up the search engine results lists and help you sell your stuff. One way we do this is by using something called “long tail keywords.” And what on earth are long-tail keywords? So glad you asked. There’s almost no way your small company can rank well by using keywords like “antique shop” or even “antique desks” The bigger companies dominate the rankings with these common search terms and you’re not going beat them playing that game. BUT. You can rank (and sell more) with people who are using more specific search terms to find exactly what they’re wanting to buy. So after doing a ton of research on your company and market, we might decide to weave the phrase “19th-century roll-top desks from New England” into your site. Or something like that. While this might seem counter-intuitive on the surface, you have to remember the concept of “the right traffic” we mentioned above. Online success is about conversions, not traffic. Our digital marketing team is really, really good at researching your company and the market where it’s competing. We’ll find these the specific long tail keywords that serious buyers are searching for and integrate them into your site. And presto — you’re selling so many roll-top desks that you have to go find more. This is the kind of luxury problem NoStop Blogging Services works to create for you. The next two ways we’ll strive to make you buckets of cash have to do with the actual content we write for your blog. Our content writers are good at what they do. They’re not good for much else, but they write great web content. And what is great web content? This is a complicated question, but for our purposes let’s just say that great equals engaging, concise, and useful. And most importantly, it means avoiding Google penalties for crappy content, crappy here meaning redundant, thin, and poorly-written. The next requirement involves the “freshness” of your content. Here’s where things can get very complicated, which is one of the main reasons you should use a great digital marketing team like NoStop’s — so you don’t have to worry about the insanity of dealing with Google’s algorithms. The bottom line, though, is that Google rewards the “freshness” of your content by pushing it up in the SERPs. That’s probably about as close as we’re going to get to a brief description of Google’s lunatic ideas of freshness. Much more than this and you’ll be as crazy as we are. The upshot is that we write great content that’s guaranteed to be fresh and that can translate into more sales for your company. But it’s much easier to see how we can help you do this with our product in hand. We’re very proud of what we do here at NoStop and we’re convinced we can help your business grow. Contact us today to buy a post and get started on building you a better online presence and higher sales. But Why Choose NoStop Blogging Services? Now here’s the real question, right? With a million other companies out there itching for a chance to write your blog twice a week, why should NoStop be the one you actually choose? Well, the short answer runs something like this — the articles we write for you aim to generate revenue for your company. Our blogs are written with certain goals in mind — to help increase sales and make you more money. Period. Of course, there are important nuances involved in this apparently simple equation too, but the main thing is, you guessed it, more money. Direct the right kind of traffic to your website. And what’s the right kind of traffic for your particular website? The kind that’s likely to spend money when they get there. Heavy traffic without conversions is like getting a thousand swipe lefts a day on Tinder. Yeah, you’re getting attention, but…. That’s the Cliff’s Notes version of what your business blog has to do for you in a world where everybody and their loudmouth younger brother has a slick website and cool stuff to sell. And coincidentally enough, these are the five things that NoStop Blogging Services can do for you on a daily basis. Let’s talk about how we make that happen — contact us anytime for more information or a quote. And if you’re ready to order now — we’re ready too! First, let’s talk about cost. There’s a lot of variety in blogging service pricing, but it’s usually not cheap. Your blog doesn’t have to bust your marketing budget– you don’t always get what you pay for with high-priced blogs, trust us– but if the company’s too cheap, the quality isn’t going to be good and the blog won’t be value-adding. Our prices are relatively cheap, probably at the low end of average. Fortunately, you get more than what you pay for with us. Oh, we also make money for you. Did we mention that? To finish up, let’s talk about the benefits of our blogging services package compared to buying single posts. If you buy single posts from us, we’ll do a great job for you. You’ll get a fantastic blog that’s written to your specifications. Our content writers are dedicated and good at what they do, very good in fact. You can’t go wrong buying single posts, but our blogging service goes quite a bit further to reduce your workload and increase sales. With regular blogging services, you get a consistent writing voice. Over time, your writer will gain a deeper familiarity with your products and services — indeed, your entire company culture. 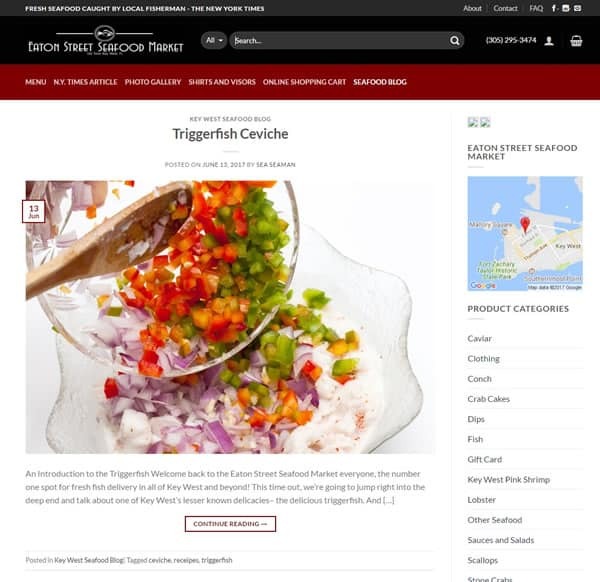 This gives your website a more authoritative air, which lends itself to increased sales. And you get to continue calling the shots — simply tell us how many posts you want per month and how long they should be and we’ll do the rest. In other words, we can take care of everything, if you like. You’ll have a thoroughly researched and engaging blog without having to mess with it anymore. We’ll build and maintain an engaging and up-to-date blog speaks to your target audience, with hardly any effort on your part. A great blog is just something you can’t do without. And if you’re an agency, you already know it’s something your clients can’t do without. 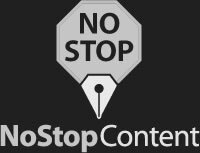 By combining great research with immaculate and dynamic content, NoStop Blogging Services helps get the right people to your site and works to keep them coming back to buy more of your products and services. What more do you want? Contact us for a quote on our hands-free blogging service today. You’ll be glad you did.